Kate Middleton and royal baby Prince George will be guarded around the clock by fifty armed officers, it has been revealed. It’s thought the team are currently being recruited by the royal family, to look after the Duchess of Cambridge and her little one when Prince William returns to work. According to The Sun, the officers will be stationed at William and Kate’s new residence Anmer Hall, situated on the Queen’s Sandringham estate – further fuelling speculation that the family will soon move there full time. Reports suggest the new recruits will cover 24-hour shifts outside the couple’s home, as the Queen’s current Sandringham team does not have enough armed officers to cover the posts. A spokesman for Norfolk Constabulary said recruitment for firearms officers ‘remains open to both internal and external candidates’. This comes as Kate Middleton and Prince William make plans to move into Anmer Hall ‘sooner rather than later’. Gifted to them by the Queen in the run up to Prince George’s birth, the 10-bedroom Georgian mansion, one of the monarch’s favourites from her 150 property collection, and will act as a rural retreat from the couple’s London residence, a 20-room suite in Kensington Palace. 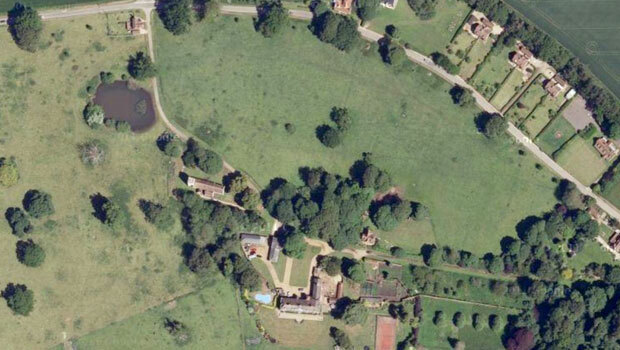 The mansion is also close to an army base where Prince William is rumoured to be taking up a new job. 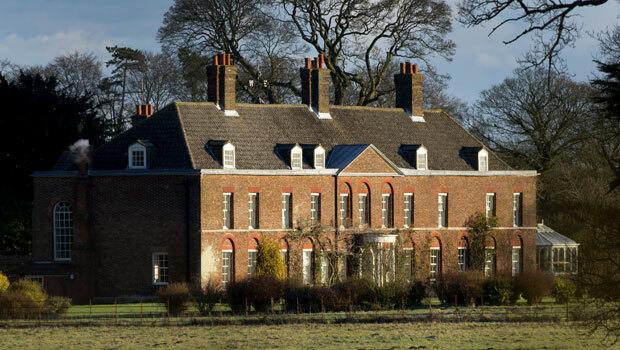 For security, they have been granted planning permission on Anmer Hall to accommodate a new housing block (thought to be for security), plant new trees and shrubs for privacy and re-route the main gates to the driveway. Kate Middleton may be relaxing in Berkshire with newborn Prince George, but the Duchess still managed to cause a shopping frenzy online, after stepping out in a £50 maternity dress. Following the news that Jenny Packham’s website crashed under demand for the Duchess of Cambridge’s bespoke blue polka dot creation – and the fact that Prince George’s first baby shawl also sold out online – the dress that the royal wore in transit from Kensington Palace has now attracted a waiting list. The purse-pleasing item from maternity brand Seraphine, described on the brand’s website as ‘the ultimate in effortless style,’ sold out hours after Kate Middleton stepped out wearing it, and it’s thought there is now a 4-week wait time for deliver.